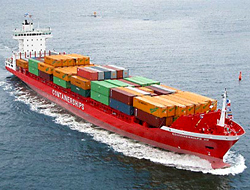 One after the other the major container shipping lines have been revising their future earnings downwards. One after the other the major container shipping lines have been revising their future earnings downwards, already writing significant losses in their balances. 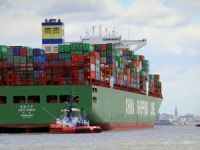 NOL, OOCL, Maersk Line and others are facing the slump in trade as a result of the global financial crisis and are actively looking into ways to improve their earnings. Last week, NOL group president and CEO Ron Widdows said that ?although volumes and operating performance improved in the latter months of the first half, business conditions remained depressed, and this continued to impact our financial performance.? Almost every company is looking to rationalize services, cut costs, while at the same they are scrapping older vessels and idling part of their fleet. 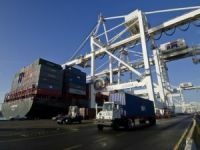 In another example of the dramatic downturn that has hit liner shipping, three lines - Hamburg Sud, Alianca and CSAV - have decided to rationalise services between the east coasts of South and North America. This is because business has dropped as much as 40 per cent from a year ago. Just this week, AP Moeller Maersk decided to give up on Odense Steel Shipyards, which is responsible for building ?Emma Maersk?, currently the biggest container ship on service. After a series of losses for the yards, Maersk chose to shut down operations. If the current market was different, i.e. in pre-crisis levels, it"s almost certain that such a decision wouldn"t have been made. Meanwhile, the imbalances in the global orderbook for containers are impressive. According to Alphaliner figures, while the orderbook for ships over 4,000 teu represents 62.8% of the existing fleet, the figure stands at only 11.3% for cellular ships under 4,000 teu. The company"s analysis also shows that this imbalance is even more apparent when the age profile of small ships is taken into account. 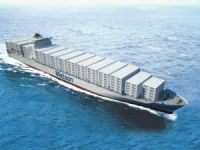 Indeed, the fleet of ships under 3,000 teu will stagnate during the coming three years as deliveries will only compensate for the demolition of elderly ships, without allowing any demand-driven fleet expansion. Alphaliner said that ?in view of the potential shortage in the medium term, some owners are also pondering if they should scrap their small, elderly ships. Keeping them may make sense as small ships will probably be the first ships to benefit from a market recovery. 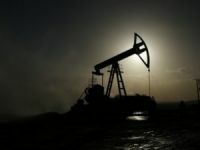 This trend could even mean that maybe it"s time for some owners to order, although it"s a bold statement that almost nobody dears to admit in view of the current over-supplied market. 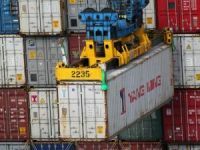 Still, container lines could be facing a fundamental change in world trade patterns that could blunt capacity demand, according to UK-based consultancy MDS Transmodal. Chinese exports were a major driver of the spectacular growth in world trade until the credit crunch intervened. The report said that during the second quarter of 2008 there were only 56 tonnes of Chinese imports for every 100 tonnes exported. One year later, that had grown to 80 tonnes. If this trend continues, container lines will have to seriously address their strategies.